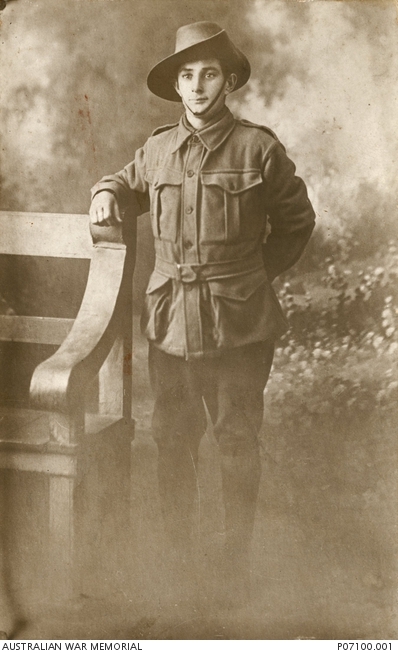 Studio portrait of 4845 Private (Pte) Albert Edward Mitchell, 59th Battalion, of Ipswich, Qld. 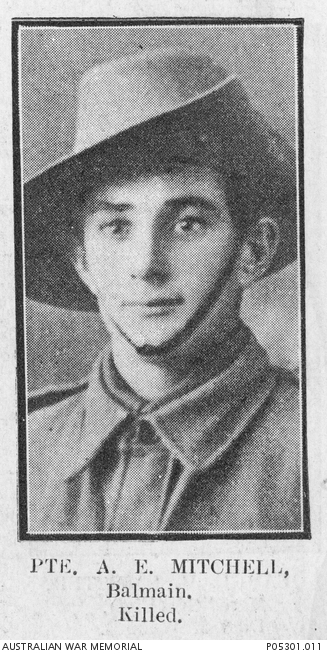 A boilermaker prior to enlisting in Balmain, NSW, on 9 October 1915, Pte Mitchell embarked from Sydney, NSW, aboard HMAT Star of England on 8 March 1916. He was killed in action on the Somme, France, on 19 July 1916, aged 23, and is buried in VC Corner in the Australian Cemetery, France.